Tesla announced Friday it would be firing seven percent of its workforce, or more than 3,000 employees, with chief executive Elon Musk stressing that the electric car maker needs to ramp up production of its Model 3 sedan. Musk, in a memo shared with Tesla workers and posted to the company’s website, said last year was “the most challenging in Tesla’s history.” The company was stuck in “production hell,” as Musk dubbed it, as Tesla raced to produce 5,000 Model 3 sedans — it’s most affordable car — per week, a goal it ultimately reached. But the company grew its headcount by 30 percent in 2018, something Musk said was “more than we can support” on Friday. The Palo Alto, California-based company had 45,000 employees at last count, meaning the cuts will impact 3,150 workers. Despite the cuts, Musk said Tesla has to find a way to reduce the price of the Model 3, which runs $44,000 on the low end, according to his memo. The car, when first revealed in 2016, was expected to have a starting price of $35,000. Compounding matters, Musk said it’s imperative Tesla increase production before tax cuts for its car buyers are removed at the end of the year. Wall Street didn’t respond well to the cuts, with Tesla’s stock dropping 9 percent in early morning trading, hitting $315.50 per share. Tesla is set to report its Q4 earnings in early February. The company’s stock surged in October, after it posted a rare profitable quarter. In his memo, Musk said the company expects to turn a “tiny profit” during its most recent quarter, although he expects it to be less than Q3. Tesla’s cuts comes a week after SpaceX, Musk’s rocket company, announced it was laying off 10 percent of its employees. 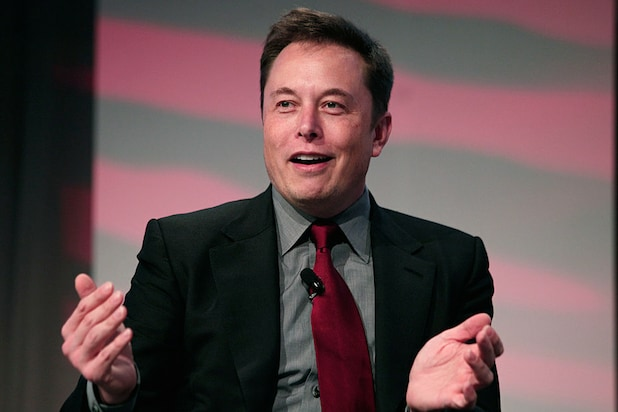 Elon Musk has been at the forefront of Silicon Valley innovation for two decades. The South Africa-born entrepreneur has been linked to a number of high-profile, intriguing ventures… so let’s take a look. Musk made his initial fortune thanks to PayPal, which he sold to eBay in 2002 for $1.5 billion. He made a cool $165 million off the deal. Instead of buying an island and living the high life after the PayPal sell, Musk went to work on getting the world off its dependency on oil. He founded Tesla Motors (now Tesla Inc.) in 2003, taking over an old Toyota-General Motors manufacturing plant in the Bay Area. The slick electric cars can travel 250 miles without a charge and sell for upwards of $100,000. Its “mass” car, the Model 3, is due out in 2018. Perhaps the project most important to Musk is SpaceX. Founded in 2002, the rocket company has worked with NASA on several launches. SpaceX made history when it developed “recycled” rockets that are able to be launched, landed and reused. Even more ambitious, Musk wants to send manned missions to Mars within the next decade… and colonize the red planet. Musk frequently travels back and forth between NorCal and SoCal, and he wants to do it quickly. Enter Hyperloop, where passengers will be put in pods and shot through tubes connecting San Francisco and Los Angeles at speeds of up to 760 miles per hour. Musk sketched the concept in 2013, and it’s now being pursued by a group in L.A. full-time. Musk is also big on artificial intelligence and hopes to find a way to directly connect humans to machines. That’s where his Neuralink comes in. Co-founded by Musk in 2016, the company aims to integrate our minds with AI advancements via chip implants. The Boring Company aims to alleviate traffic by building an underground network of tunnels. Cars would be able to latch on to giant sleds and zip through tunnels at 125 mph or passengers can take futuristic glass buses if they want. Founded by Musk’s cousins in 2006, SolarCity is the second-largest provider of solar panels in the USA. Musk owned 22 percent of its shares when Tesla bought-out the company for more than $2.5 billion in 2016.